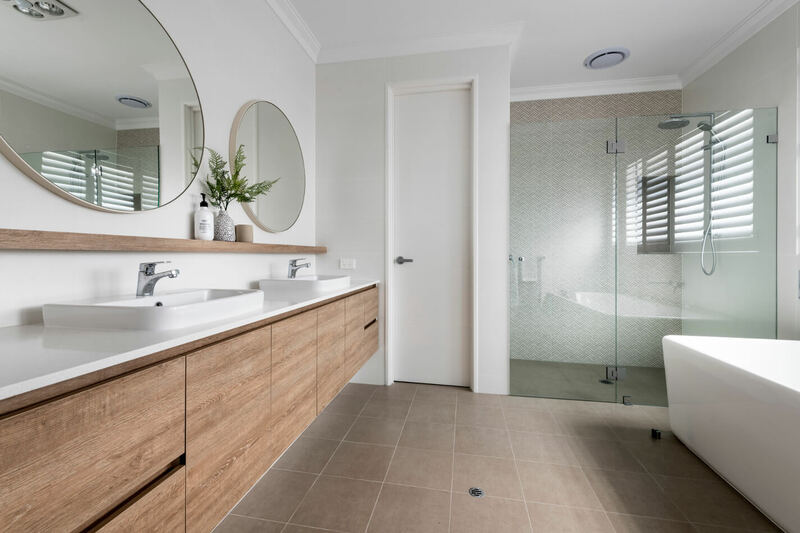 The Coast design team worked with our client to unlock the potential of a triangular shaped block, and the resulting four bedroom, three bathroom home is simply stunning. 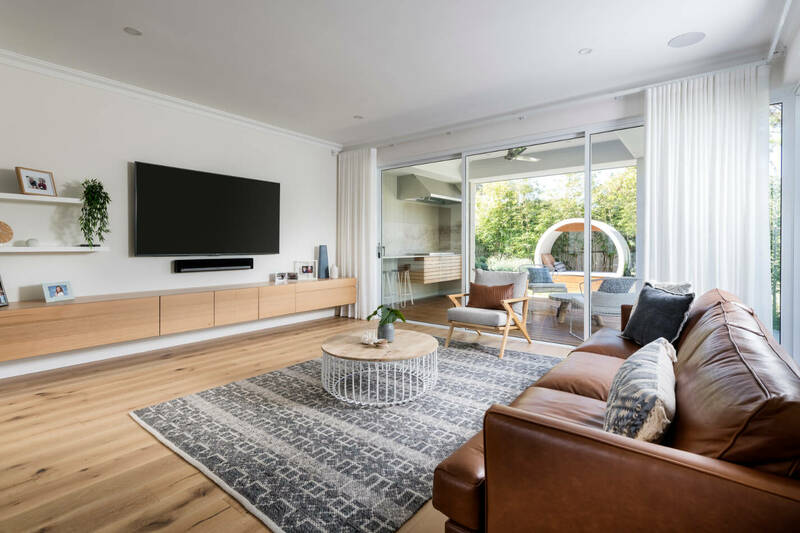 Custom designed to provide a sense of connection to the outdoors, this light-filled home takes advantage of parkland views to the east while maximising the northern aspect. 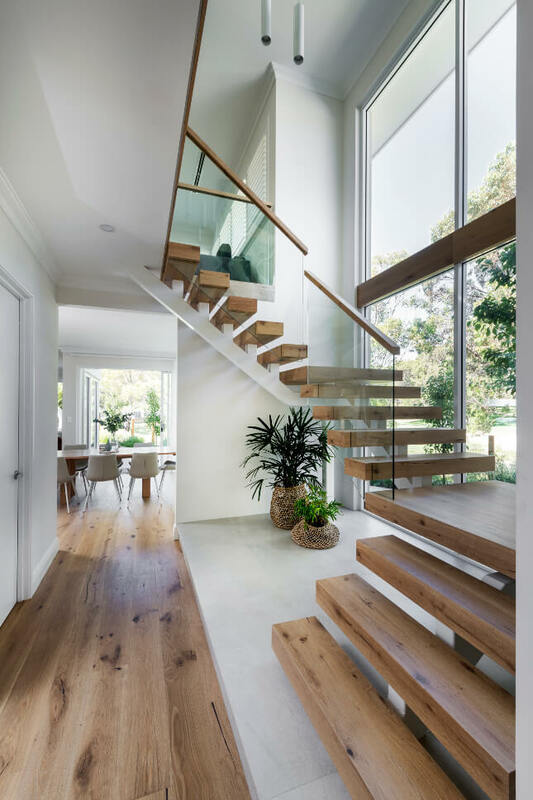 Appearing to float effortlessly in the entryway, the apparent simplicity of this showstopper staircase belies the careful planning and engineering that went into its creation. The double height windows maximise the treetop views and light both the upper and lower levels of the home. With full height herringbone tiling, a large freestanding bath and a dual overhead shower, the master ensuite is luxurious without being overwhelming. The oak cabinetry adds a feeling of warmth while the round ‘porthole’ mirrors give a nod to the coastal location of the home. French Oak floors set the tone for the relaxed, holiday vibe in the main open-plan living area and the positioning of the large stacking doors capitalises on the natural light from the north and the expansive parkland view to the east. 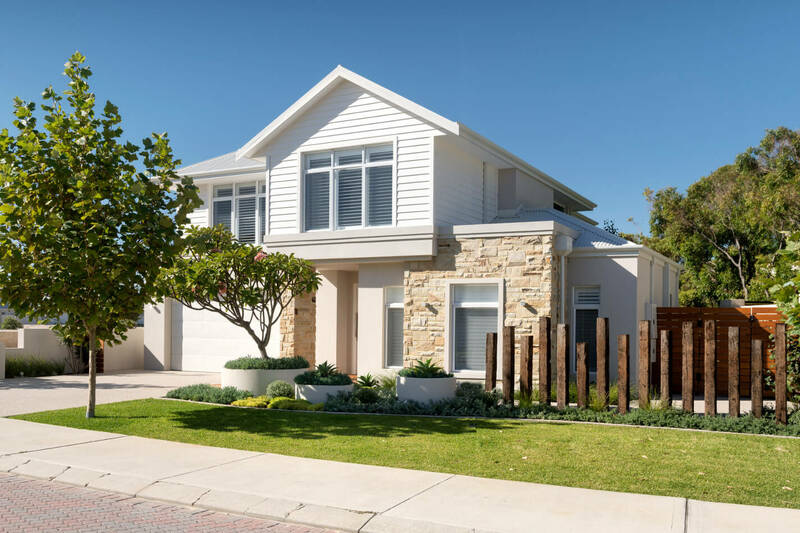 A simple and contemporary exterior with a coastal vibe, the limestone cladding and white weatherboards add interesting textures and layers that are complemented by the lush green landscaping. 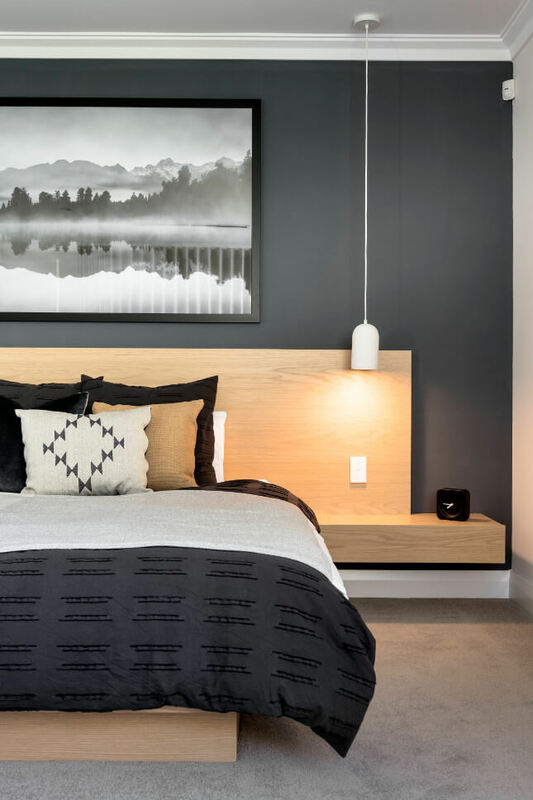 The dark feature wall provides a bold backdrop that perfectly offsets the white pendant lights, which add a stylish yet practical element to the room.